Tehran is eager to project an image of strength. But that doesn’t mean all of this new weaponry is any good. 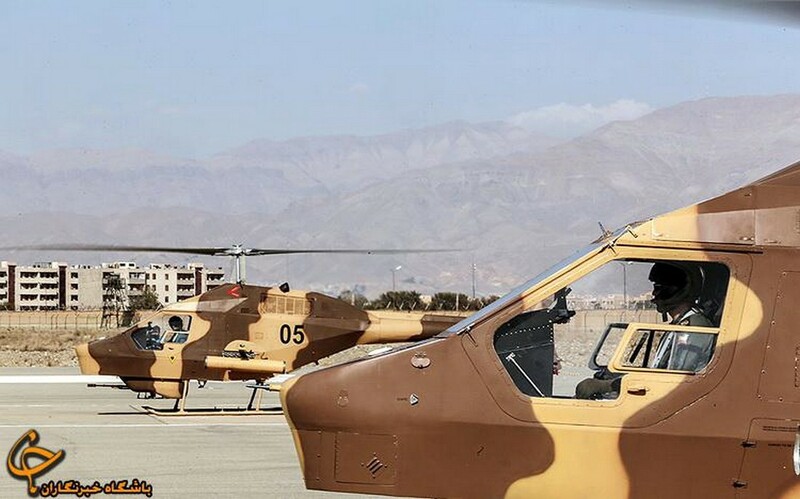 For Sacred Defense Week, the Shahed-285 attack helicopter performed a rare demonstration flight from Al Ghadir, an Iranian Revolutionary Guard Corps Air Force base near Tehran. The Shahed-285 project started in the early 1990s. The aim was to add combat capability to Iran’s Bell 206 light helicopters. There are five Shahed versions … that we know of. Three initial prototypes, a maritime version with a surface-search radar and C-701 anti-ship missiles plus an anti-tank model with a roof-mounted optical sight, Sadid missiles, 70-millimeter rockets and a 12.7-millimeter machine gun. Don’t get too excited. You can hang all the stuff you want off of a Bell 206. It’s still a Bell 206. Asefeh has a maximum firing rate of around a thousand rounds per minute. It first appeared in 2013, ostensibly as an anti-cruise missile weapon. 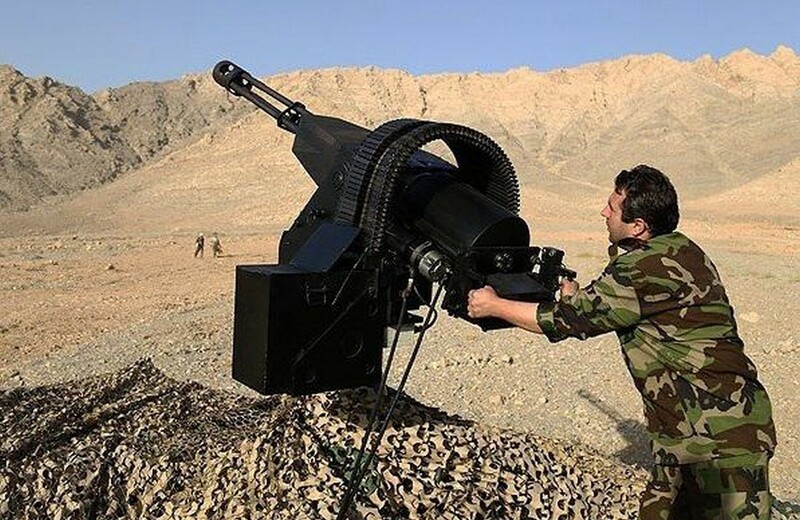 And this year, Iran re-introduced it as a heavy assault gun for use against ground targets. 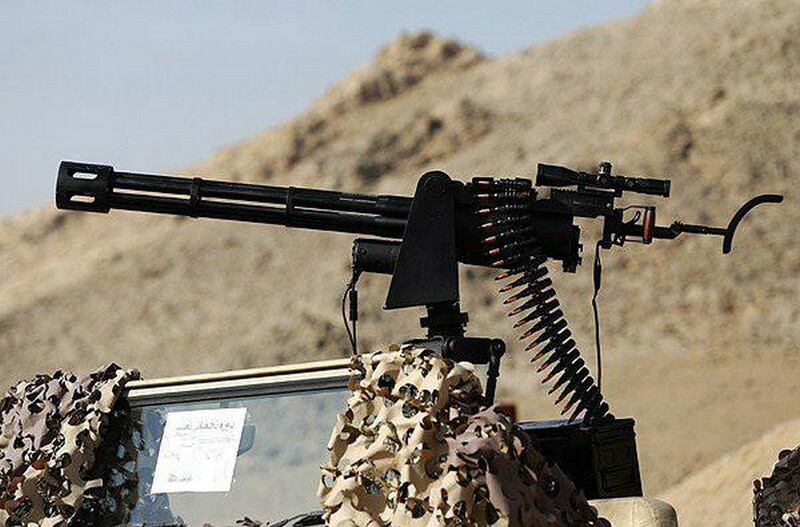 This 7.62-millimeter Gatling gun is a copy the American M134 minigun. It debuted in 2010 and has been a fixture at parades and ceremonies ever since. It has not appeared in the arsenals of any front-line units—a pretty good sign it’s strictly a propaganda weapon. The 5.56-millimeter Fatih assault rifle is actually a clone of the Bushmaster Adaptive Combat Rifle. 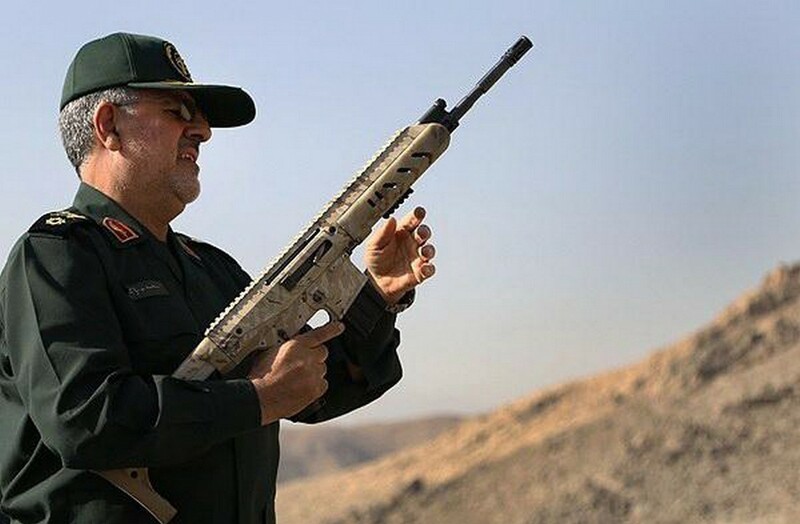 The Iranian defense industry has designed at least a dozen similar rifles in the past decade in a mostly failed effort to replace old AK-47s and G-3s. The only one that has seen any service is a modified version of a Chinese copy of the American M-16. For its part, Fatih didn’t even work as propaganda. Photographs captured the moment the rifle jammed after firing a few demonstrative shots at its own inauguration ceremony. Rategh means “opener.” It’s basically a civilian bus with armor plates, loudspeakers and a small plow to clear obstacles during urban protests. 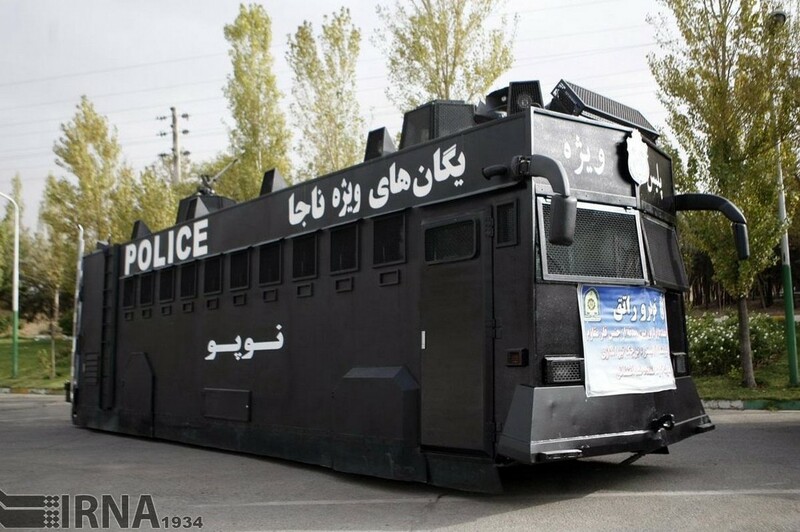 The majority of Iranian police casualties—especially in the restive border areas—result from attacks on the cops’ unarmored vehicles. 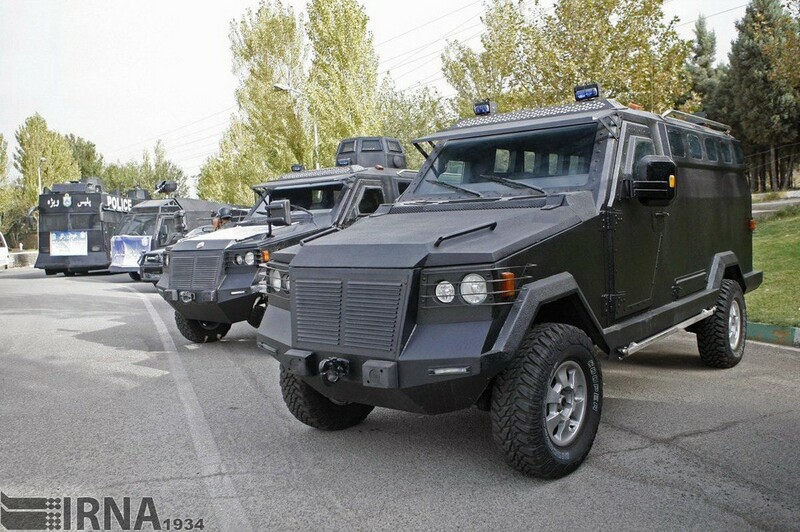 Traditionally, the Iranian armed forces ride in Toyota off-road trucks, but Fategh is an armored version of an Iranian copy of the Land Rover Defender. 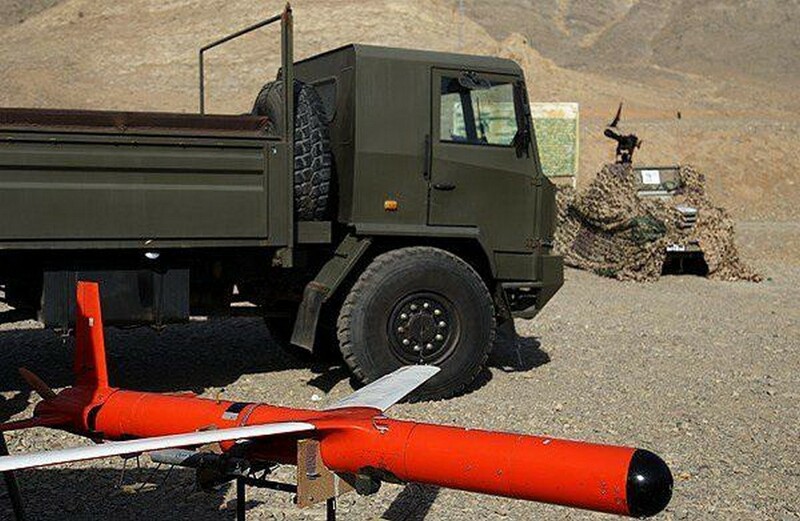 During Sacred Defense Week, Iran also unveiled at least one new Unmanned Aerial Vehicle—probably a target drone—and a new all-terrain version of the Safir jeep.